This 2 year old Mid Century Modern is a one of a kind and as close to El Paseo as you can get. Upgrades Galore. Offered Turnkey Furnished and MOVE IN READY, just bring clothes. This property can be a perfect rental as it is zoned for short term rentals. Some upgrades include: Owned Solar, 1000 bottle refrigerated Wine Room, Surround Sound and Sonos system, Wolf and Sub Zero appliances, Electric window coverings, Misting System, A/C on App, Garage A/C and extra refrigerator, Garage epoxy and Storage Cabinets, Pool/Spa heater and chiller, Cappuccino machine, Natural Gas BBQ. This home has it all. Walking distance to anything on El Paseo, and next door to the New Hotel Paseo with access to the Spa and Restaurant/Bar. 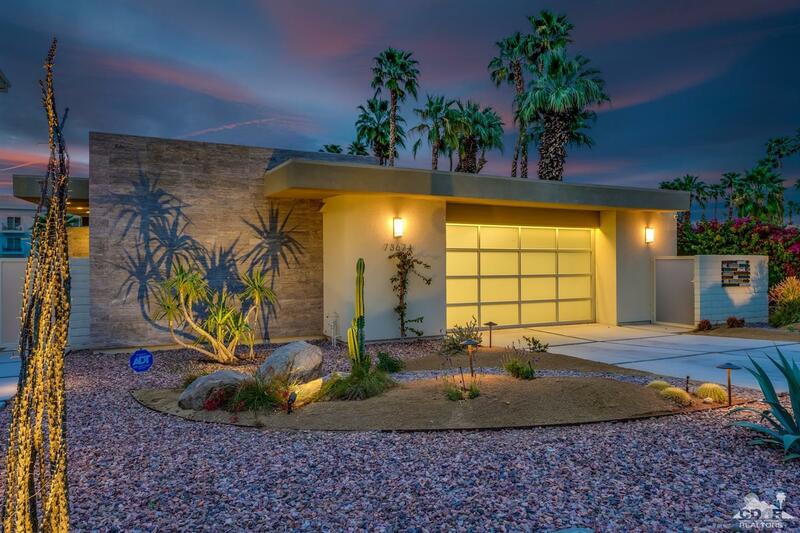 This Open floorpan with tall ceilings and cool Palm Springs interior is the perfect getaway.